‘Sports’ is becoming an industry while the corporate world is being asked to get ‘sporty’ in its strategies and operations. Here’s a perspective on that! Think of a sport and one can imagine action, excitement, challenge, and result … if you are a follower! For the player, it means skilling and training, dedication and application, fitness, competitive performance, and recognition. For the organizers and sponsors, ‘sports’ is a means of providing a memorable experience that’s entertaining and commercially viable. ‘Sports’ has ceased to be just a game, it is an enterprise! It is an organization with mission and objectives; an organization whose ecosystem of specialized entities that provide necessary inputs and support is evolving; an organization that is in the process of offering its products in a commercially viable manner. Therefore, it is adopting practices, processes, and governance from the corporate world…just like an organization that creates world-class products and services for its target audiences. In India, ‘sports’ is a start-up enterprise. But for Cricket, all other sporting events are getting their initial funding through ‘friends, family and fools’! The success of cricket in its IPL format is the Unicorn that holds the beacon for all other games, especially for the team sports. ‘Sports’ is the new sunrise industry that is learning business techniques from existing industries while offering some very interesting pointers on how business needs to be done in future when technologies like AI and robotics would have caused an impact. Strange as it may sound, ‘sports’ is getting business funding now to become an industry while the corporate world is being asked to get ‘sporty’ in its strategies and operations as machines start doing activities that human beings are currently performing. Here’s a perspective on that. Cricket and Football, the two leading sports in India, have some interesting aspects about them that stand out in similar and contrasting ways. Both are team sports with a structure – there’s a captain followed by a list of players, organized in a manner that resembles a hierarchy. In cricket there’s the batting order and in football there are the forwards, mid-fields, defenders and goal-keeper. Every player is highly skilled, knowledgeable of the rules and regulations, and obviously has prior experience of playing the game. There are specialist roles too that provide for some very distinct skills like wicket-keeping and goal-keeping. The players are all well trained (qualified), have played the game at different levels (experienced), yet take every game as a new event. No two games are identical for the players! The teams are supported by coaches (masters of the game), support staff (who take care of the players’ fitness), technicians (umpires, referees, interpreters of rules, etc.) and analysts (analyzing strengths and weakness of each player for various situations of the game). Career opportunities have got created for statisticians, data scientists, analysts, commentators, merchandise providers and for techies to develop gaming apps. ‘Sports’ has all the trappings of becoming an industry that provides employment and careers. Cricket, the slower of the two games, has a distinct feature of ‘flipping hierarchy’. At the time of toss, the hierarchy is that of the batting order, save the captain. If the team has to field, the hierarchy ‘flips’ to the bowling hierarchy, which invariably goes bottom-up. Depending on the decision to bat or bowl, the structure changes and the operational responsibilities get reallocated! Further, depending on the situation of the game, the initially ‘well-defined roles’ of players gets ‘fuzzy’ and the expectations on their performance also changes. The experts call this as ‘adaptability’ – a skill that can influence a player’s career. So, in cricket, structure can flip, roles can get fuzzy and responsibilities can get reallocated and the players are ‘trained’ to perform and deliver results. Football is the faster game and is played for a shorter span of time. The captain of the team is like any other player when the kick-off happens. The perceived hierarchy dissolves completely — the movement of the ball determines the most important player for that moment. Indeed, the one who is dribbling the ball or defending a hard strike by the opponent is the most responsible person, who assumes complete authority and takes a decision to act. What he does then is accepted by all other players as the best option possible. The game isn’t paused for evaluating options or for seeking approvals or taking advice which may be coming from the screaming coach from the sidelines. During the game, there could be misses and mistakes by a player, but the team shows implicit trust and moves on. Organization structure will be flatter and managerial roles will be fungible which will make the organization flexible and responsive. Organization will be inclined towards contractual engagements with skilled resources than training in-house employees. Problem-solving, creative thinking and communication skills are top three skills expected at managerial level to work in a VUCA world. While technology will perform functions that are repetitive and predictable, human roles will brace with uncertainty and ambiguity. Hence, job descriptions for human beings’ roles will be fuzzy. Administratorís Role: Investors will fund the business activities, provide expertise in creating a core team but will not be operationally involved. However, they will set the expectations of the outcomes. This is exactly how the sports’ apex bodies operate. Organization Structure: Very flat or even a circular structure will emerge. Circular structure – Holacracy – expects business expertise (multiple skills) to exist amongst all managers. They will be assisted by technology with context related data and details. Many of the existing ‘specialist’ roles like CFO, CHRO, CIO, will get subsumed into operational roles. New areas of specialization will emerge – data scientist is currently in vogue, behavioral science (study of brain), creativity and visualization. Like in a sports team where there’s some degree of specialization while everyone else is pretty much expected to do everything else. CEO's Role: The CEO is the captain who leads a highly resourceful team and is also fully involved in the operational aspects. The CEO will have discretionary powers just like the captain of the sports team does, and will have the responsibility of explaining the rationale of a decision taken. The responsibility of the performance of individual members rests on the CEO who would also ensure that outcomes comply with statutory requirements. Managerial Roles: Potential employees, like players, will be skilled and will have a clear track record. Organizations will hire people with relevant skills rather than re-training an existing employee. Contract employment shall be the preferred option and hence capability (player’s form in sport) will be the basis for negotiating compensation. Like players get tested every time on the field, employees too shall be tested by complex business problems and unprecedented situations in which their skills will be used. As technologies like AI and robotics develop expertise in doing tasks that tend to be repetitive, human skills will be used where uncertainty of outcome is very high – just like the result of the game. Work Environment: The pace of work will be much faster; the diversity factor will be much higher and business processes will be much more transparent. Team members will see diversity in skills, language, beliefs, habits, culture, practices, etc. but will be unified by a common purpose. Their profiles will be known to all and their actions and decisions will become known to the stakeholders through the transparency of business processes. Contributions made individually and collectively will be visible. In that sense, business will be mimicking the ‘playing-in-front-of-the-audience’ feature of sports. Entry Level Jobs: The flat structure implies that the entry-level jobs themselves will be at a much higher level than they currently are. Working to gain experience – as an intern or on contract basis – shall happen along with academic pursuits. Hiring will happen on the basis of demonstrated capability than on academic credentials. The ‘hackathons’ in software industry is becoming a trend-setter for hiring for various kinds of roles. The only striking dissimilarities are in the areas of training and bench-strength. Sports is in the process of building its bench-strength whereas organizations are eliminating this. Further, training is a very important aspect of sport – even the best player needs time to train and the board facilitates that at its cost – whereas in business, organizations of the future will expect the individual to train herself at her time and cost. Speed as a factor draws parallels between sports and the emerging form of business. Like Cricket has witnessed transformations from test matches to T20 format, emerging businesses will be about machines speeding up operational activities while sharing the workload with human beings. Machines will perform predictable and repetitive tasks while human beings will perform tasks that have unpredictability in outcomes or newness in managing. 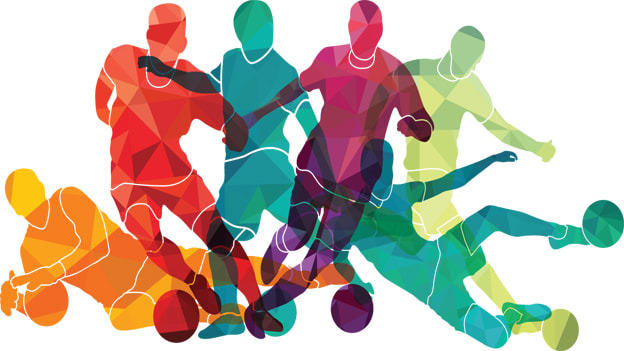 Unpredictability and newness are key aspects of sports – each match is different – and thus provide some telling similarities about emerging business activities for CEO’s to look into. While it may be perceived that ‘sports’ is sponging on corporate practices, techniques and strategies, it is, in fact, offering some invaluable lessons to corporate honchos to enable them to deal with business situations once technologies like AI, Robotics, Virtual Reality and IoT start disrupting existing practices. The time is now for decision-makers to get on with their net-practice sessions!